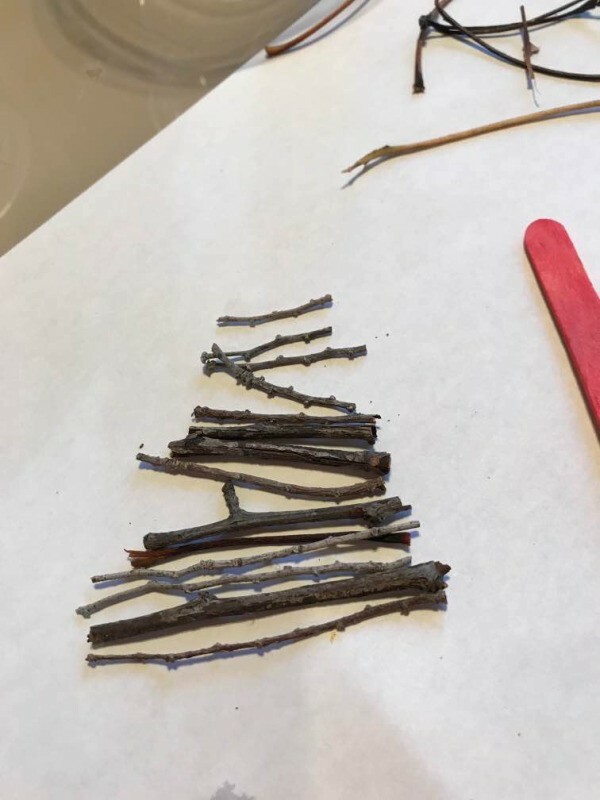 Take a walk in the woods or just around the park or neighborhood and collect some small sticks and twigs. 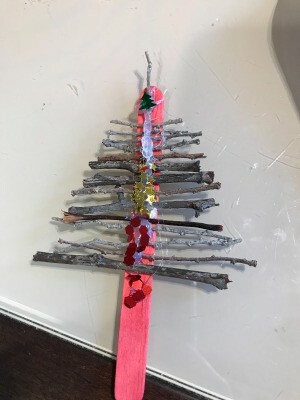 They will be the branches for this handmade ornament. This is a guide about making a nature stick Christmas tree ornament. This is a fun kid friendly project especially for toddlers who enjoy collecting rocks and stick on walks. 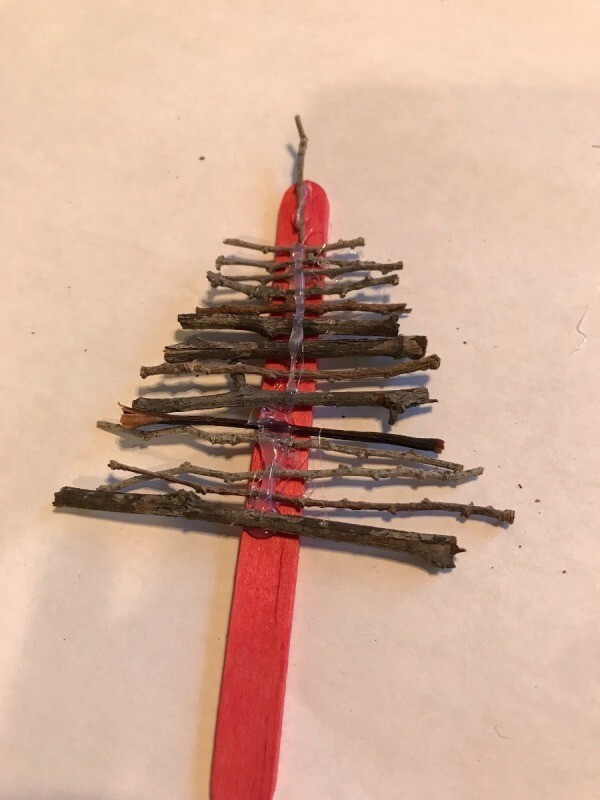 You can make a cute nature stick Christmas tree ornament. Collect assorted sticks. Lay the sticks down on the table and align them parallel to each other, shortest to longest. Using scissors cut at an angle to form the Christmas tree. 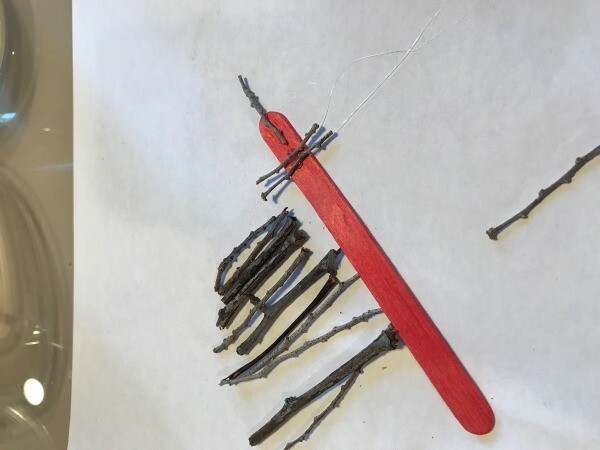 Use your choice of wooden craft stick (ours is red, but you can leave it a natural wood color or paint it). You are now ready to assemble the tree. 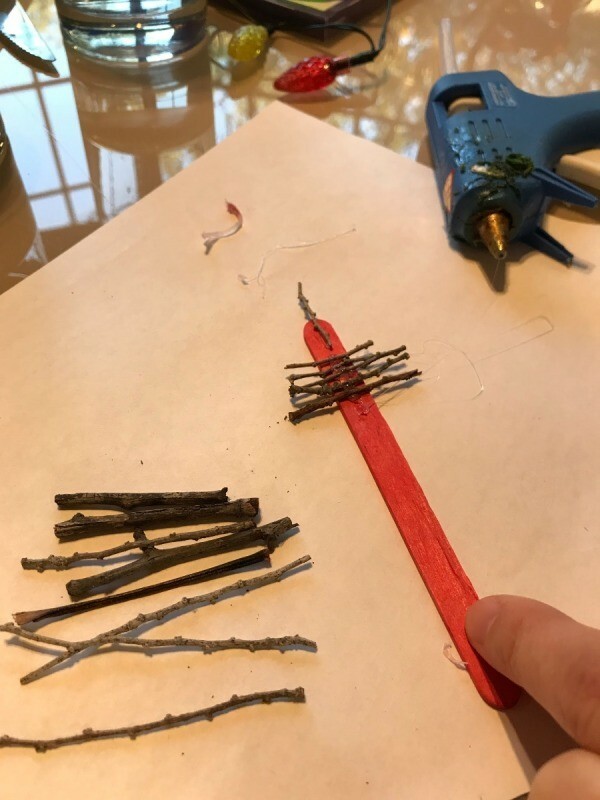 Use hot glue to secure all the sticks. After you formed your Christmas tree shape, you can decorate the hot glue seam with Christmas confetti if you'd like. Or add glitter. 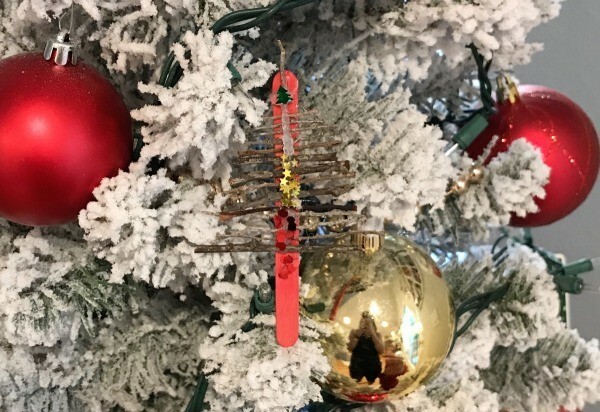 Optional: Secure ribbon on the back of the stick and make a loop then hot glue it on if you want to hang your ornament. Or, you could lean the ornament on the Christmas tree like we did. This could also be a cute accent ornament on a plain Christmas bag as it makes a nice touch crafted by a toddler.